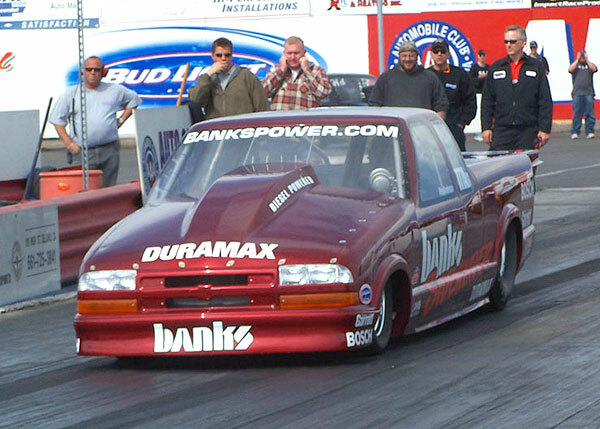 BAKERSFIELD, Calif. (Feb. 23) — In its first appearance in an all-diesel competition, the Banks Sidewinder Duramax S-10 set the National Association of Diesel Motorsports elapsed-time record for diesel-powered pickup trucks, scorching the legendary Auto Club Famoso Raceway quarter-mile in 8.06 seconds. The speed on that run, 162.66 miles an hour, also set the fastest speed mark by a diesel truck in the sanctioning organization’s young history. Earlier in the day, the Banks machine went through the traps at a sizzling 169.40 mph but at a slightly slower 8.20 seconds. Because the record is based on e.t., not speed, the 162.66 is the official fastest speed. The event, promoted by Diesel World magazine, drew 1,400 spectators from across the western United States who watched 120 trucks in competition. 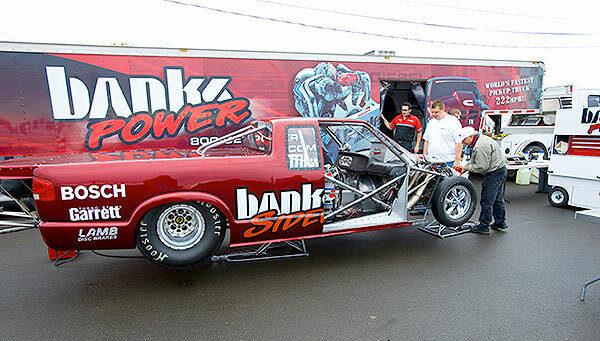 Many of the fans who braved the cool weather and threatening skies were in Bakersfield specifically to see the Banks S-10 run in competition. 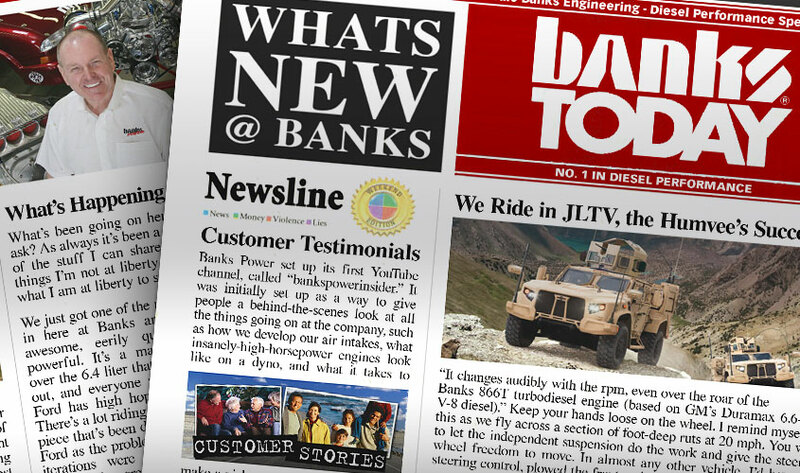 The Banks Sidewinder has been the subject of much interest in recent magazine articles and across the Internet. Hundreds visited the Banks pit area during the one-day event, snapping pictures and asking questions of the crew and of Gale Banks himself, who was on site to cheer his team on. 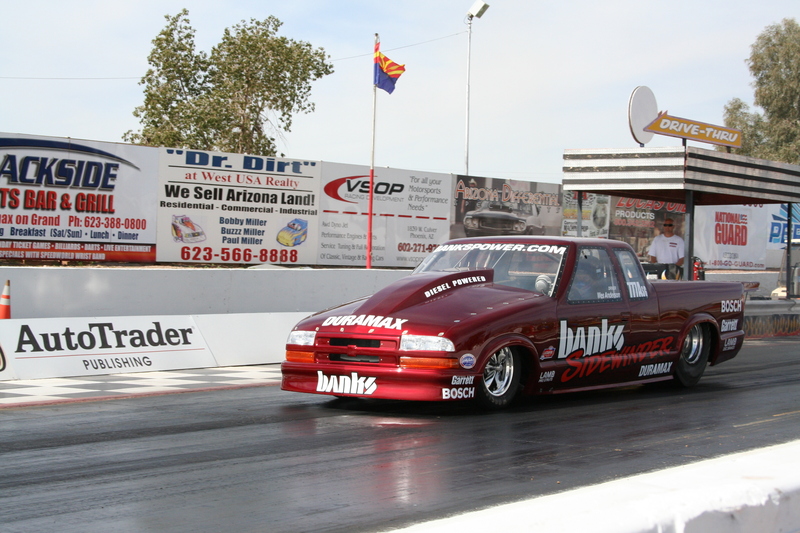 Just days before the Bakersfield event, the Banks race team put its S-10 into the sevens in pre-event testing at Speedworld Dragstrip in Arizona. 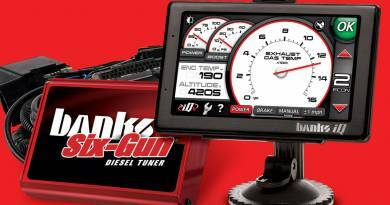 In Bakersfield, the truck was only 17-hundredths of a second off its best Arizona time in practice but down a disappointing four miles per hour on its fastest top-end numbers. The performance deficiencies in Bakersfield were traced to a factory ECU — the electronic brain that controls fuel flow — running up against a limit that the race team has been chasing. 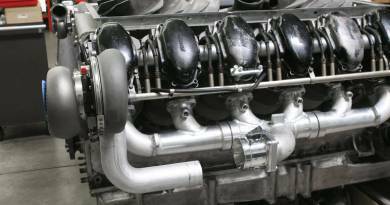 Effectively, the truck’s Duramax V-8 engine was “going back to idle” at about a thousand feet on the 1,320-foot strip. That, unfortunately, made it impossible for the team to give the crowd of diesel enthusiasts the hoped-for seven-second e.t. 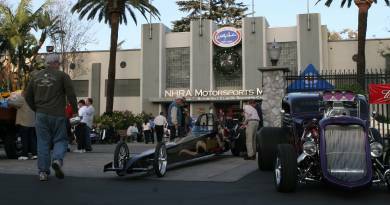 Following the event, the Banks race team members returned to their headquarters in Azusa, Calif., to scrutinize the data and apply what they have learned to get the S-10 down the racetrack even faster the next time it runs, then to use that information to improve the efficiency of existing and upcoming Banks products. That’s why they test, why they race, and how they develop products.  The reasons behind every race, every record attempt that Banks has ever made are research, testing, and proving parts and theories, not winning trophies.